Hello everyone, my name is Matt. I’m from England and grew up in a town near London. I’ve been living in Tokyo for 3 and half years so far. It’s been a lot of fun and very interesting. I enjoy teaching because I like seeing the students’ progress. I also think that not only the students learn when I’m teaching but I learn too. Teaching is a challenge that helps me learn more about myself. I also like meeting people from different backgrounds who have different interests and personalities. In my free time I like going to the gym, reading books and watching football. I also like travelling when I have the time and money. My favourite country for travelling is Thailand. I like the hot weather, the spicy food and beautiful beaches. I also like Japanese food. My favourite Japanese foods are ramen, yakitori, yakiniku and sushi. While in Japan, I’ve visited Hiroshima, Okayama, Kyoto, Nara, Kobe, Osaka, Nagano, Nagoya, Nikko, Yokohama, Izu and Mt Fuji. 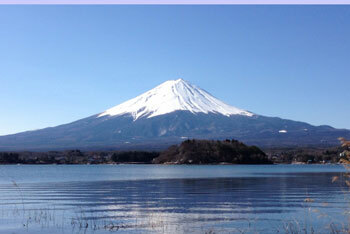 I climbed Mount Fuji at night and saw the sunrise in the morning. It was great. I wish to visit Hokkaido, Fukuoka and Okinawa someday. Even though I’ve spent 3 great years in Japan, I still feel there are many new and exciting things I have yet to discover.